The Roman emperor Augustus claimed to have found Rome a city of brick and left it a city of marble. Indeed, the remains of more than a dozen stone cargoes in the shallow waters off Italy, France, and Spain attest to the Roman appetite for specialty stones – white marble from Greece and Asia Minor; yellow marble from Numidia; red and gray granite from Egypt. The vast majority of these cargoes, however, have not been treated as coherent archaeological sites; instead they are only superficially explored, their stones partly or wholly salvaged. 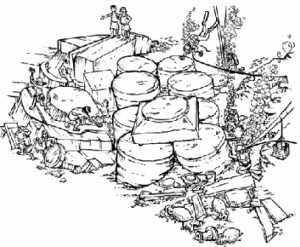 As a result, archaeologists know regrettably little about the construction and lading of ancient stone carriers, which must represent some of the most sophisticated technological achievements of the ancient world. Since 2005, an international team of archaeologists, staff members of the Institute of Nautical Archaeology, and graduate students from the Nautical Archaeology Program at Texas A&M University have been pursuing the excavation of a Roman stone carrier wrecked off the Aegean coast of Turkey southwest of Izmir at Kızılburun (“Crimson Cape”). This ship was transporting all the elements of a monumental marble column, in the form of eight individual drums and a single Doric capital. INA president Donny Hamilton serves as the project director, and assistant professor at Texas A&M University Deborah Carlson as the team’s archaeological director. The Turkish Ministry of Culture and Tourism was represented at Kızılburun by Ilker Tepeköy in 2005, Sinem Özongan in 2006, and Gülnaz Savran in 2007. 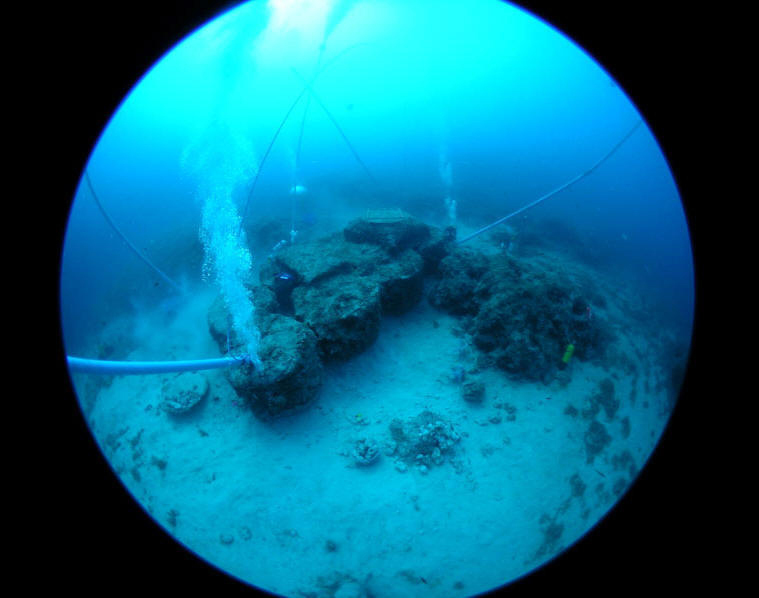 The KızılburunColumn Wreck was first located in 1993, on one of INA’s annual shipwreck surveys directed by Dr. Cemal Pulak. At the time of discovery, the only diagnostic artifact visible was a Lamboglia 2 amphora resting against one of the column drums. This presence of this amphora, though not clearly associated with the stone cargo, suggested that the wreck might date to the second or first century B.C. The Column Wreck is one of at least five shipwrecks in the immediate area, which include a fourth-century B.C. amphora carrier, two Byzantine wrecks, and a Medieval millstone wreck. For more details about the 1993 INA survey, see Dr. Pulak’s INA Quarterly report. In 2001, a second team – this one under the direction of INA’s Tufan Turanlı – returned to Kızılburunforseveral days as part of the Shipwrecks of Anatolia project. In the process of photographing and sketching the visible remains, divers identified a large scatter of artifacts that included black glaze bowls, oil lamps, transport amphoras, and a small copper handle. The discovery of three additional Lamboglia 2 amphoras in association with the drums seemed to strengthen the possibility that the wreck dated from the late second or first century B.C. The presence of a Doric column on a shipwreck of the second or first century B.C. is particularly interesting because at this time architects seem generally to have preferred the Ionic and Corinthian orders to the Doric. In August 2007, archaeologists completed the third field season of excavation on the Roman stone carrier at Kızılburun, Turkey. With the passing seasons, the wreck is being revealed to sculpt a representation of the cargo and construction methods of ancient stone carriers. The three seasons marks advancement not only in our understanding of ancient technological methods surrounding the transportation of marble but also in our current archaeological techniques required to relocate the massive column drums and excavate underneath them. The upcoming summer of 2008 will be spent in Bodrum, Turkey, analyzing the excavated remains and raised artifacts.